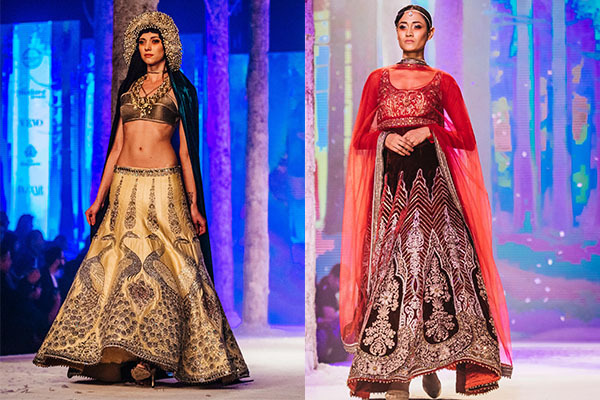 If you’ve been tracking our fascination and deep speculation over bridal trends this year, you’d know how impressed we were over the ‘Empress Bride’ from Amazon India Fashion Week. 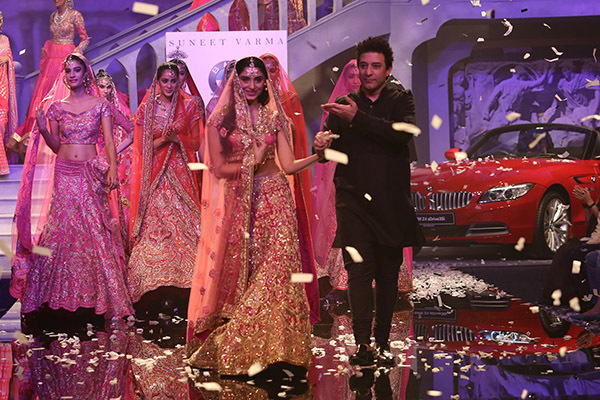 But since variety is indeed the spice of life, BMW’s fashion week which has been wholly devoted to bridal, has left us spoilt for choice. 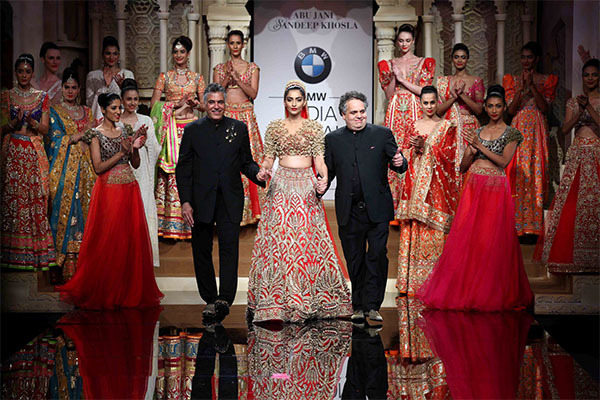 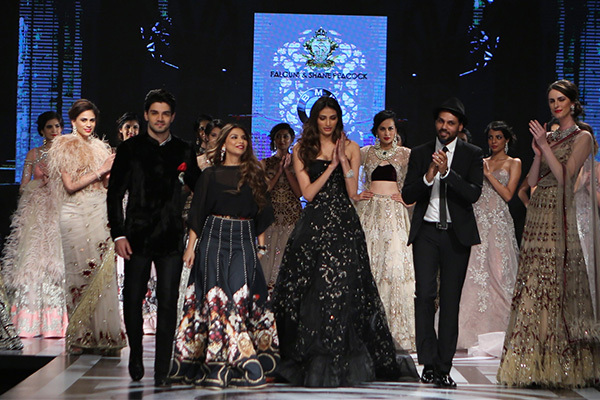 Dream team Abu Jani and Sandeep Khosla knocked us over with a Benarasi-inspired collection titled Varanasi Bride. 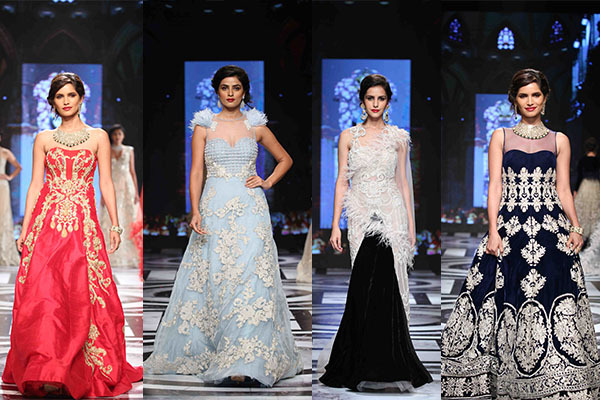 Known for their contemporary styles, Falguni and Shane Peacock’s collection titled the Peacock Bride is exactly what you need for a vintage fix. 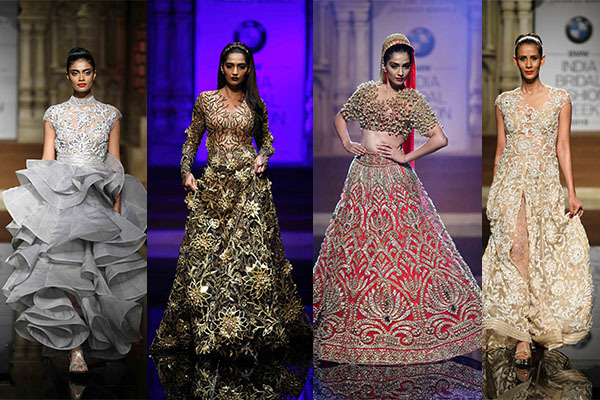 For those who cannot do without their bling, JJ Valaya’s collection comprises of a Russian inspiration sprinkled with Swarovski crystals. 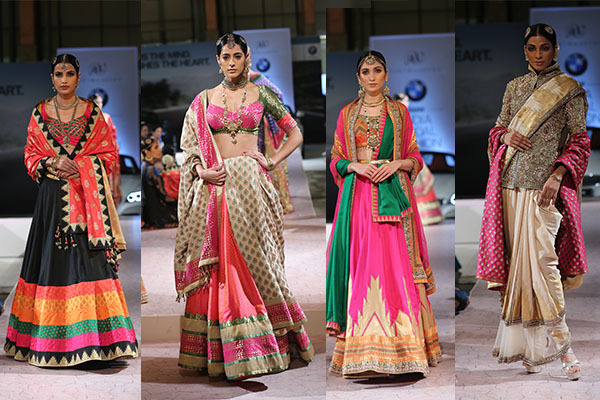 South Indian elements were the basic framework of Ashima Leena’s bridal story, while the maharani pink dominated Suneet Varma’s finale.